It is no secret that Sir Alex has his first choice on who he wants to anchor our midfield come next season, however, he is still a manager not to mess with. Transfer sagas rarely drag on under Ferguson’s watch and the Wesley Sneijder to United deal seemed to be dead in the water even though everyone has come out of the woodwork (read: Beckham) to encourage the Inter star to make the move. While Ferguson denies making this statement, it is clear that SAF is done with the discussion. This usually leads to the door swinging wide open, or slamming shut, but one way or another it means that Ferguson is done talking. Developments ongoing right now may have shifted the door to the open position. 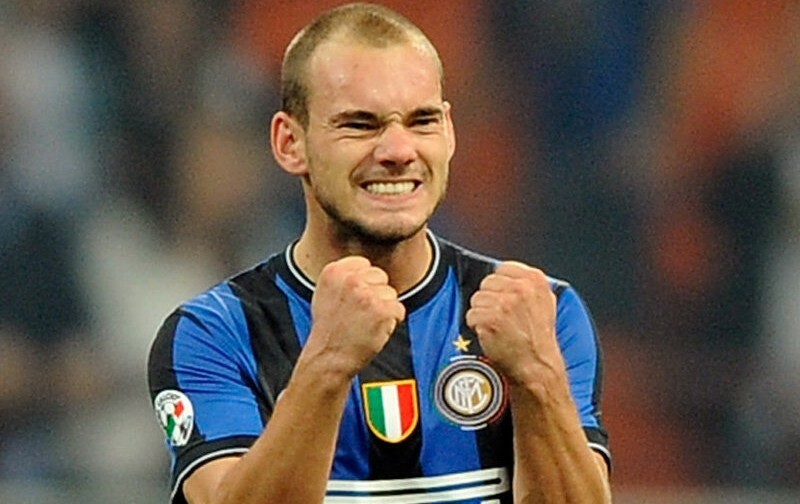 Sneijder today has admitted that “there is always a chance something will happen”, while at the same time Gasperini, Inter’s manager, was quoted, “there has been an offer [to Sneijder]”. Us United fans have heard this before, but usually after Ferguson makes his stance known, something usually develops. This may be the start of the transfer materializing. What do you think, same old song and dance, or will we see Sneijder juggling with Fred the Red? You can also find me at Yanks Call It Soccer (.com) or contact me via @thestretfordend.